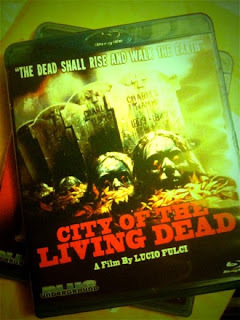 Just received my Blu-Ray in the mail of Lucio Fulci's "City of the Living Dead" and watched it last night!! Can't tell you how excited I've been about this release. Folks, if you haven't seen it yet, there's probably never been a better time. William Lustig's Blue Underground label has just released a brand new transfer of the film on Blu-Ray and dvd, and the results are jaw-dropping. I was drooling the whole way through. The colors pop like never before, while still maintaining its grainy grit throughout. I've seen this film countless times, yet details were brought to my attention that I'd never noticed before. 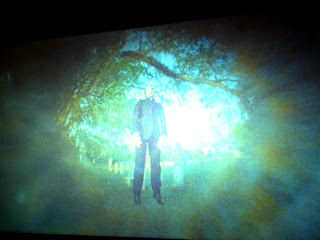 I wish the maestro was still alive to see the special treatment his film has received here. Gory, gritty, haunting, beautiful. Recommended.